Immerse yourself in the timeless traditions of Spain’s Andalusia region during this 4-days, 3-nights guided tour. Discover the southern Spanish cities of Seville, Córdoba, Granada and Toledo during your trip, enjoying a selection of guided tours. Among the many highlights are a visit to Córdoba’s ancient Roman bridge, a stop at Seville’s massive cathedral and an exploration of the Alhambra of Granada. A guide, accommodations, entrance fees, some meals and coach transport are covered. Breakfast. Departure to Granada. 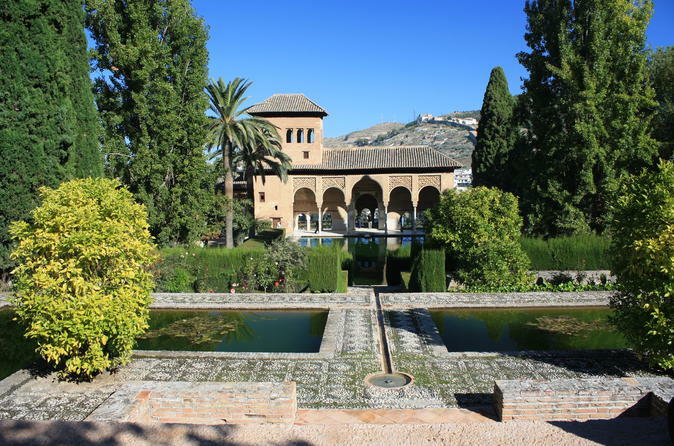 Sightseeing tour visiting the impressive Alhambra, a world heritage site, with its beautiful Nazari Palaces and the Generalife gardens. Dinner and accommodations. Optional visit to the caves of Sacromonte and attend a typical show of gipsy flamenco. Breakfast and departure towards the Imperial City of Toledo, full of history and monuments. Lunch and guided city sightseeing throughout its narrow streets and alleys. Continuation back to Madrid. Nights: Sevilla 2. Granada 1.